Campaign staff want to use sentiment analysis in order to monitor an electoral campaign. They want to get people’s opinions, positive or negative, and find out how their candidate affects the public discourse. 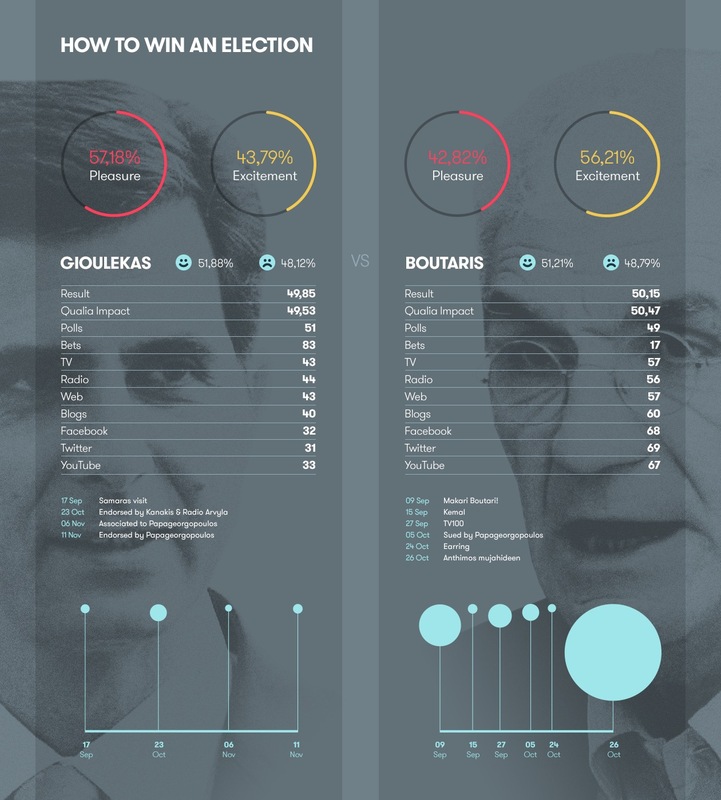 We calculated the following insights from the campaigns of the two candidates who advanced to the second round of the elections: Opinion analysis: positive/negative/neutral; Emotion analysis: pleasure and excitement (analysis in 7 basic emotions and 51 sub-categories); Buzz in broadcasts (we have developed a broadcast news speech recognition engine), news outlets, blogs, fora and social media; Main topics during the campaigns. The candidate that at the beginning was an outsider, was the final winner, against all odds. The strategy of a highly emotional and relatively controversial campaign, accompanied by a clear on-line share-of-voice dominance was a winning strategy.